It is normal in Microsoft Ignite to have Microsoft Certification Preparation Sessions this year is no exception and there are available on the Microsoft Ignite official Youtube channel. Sometimes I come across statements that BI DATA and Big Data are the same thing but it is not and I will simplify it. It is a huge amount of data stored in which they are diversified in which they are generated and processed at a great speed and are available in real time the same must be consistent and high quality. BI data is extracted information via Extract Transform Load (ETL) widely used in data Warehouse. The Kill-switch for Petya ransomware has already been found, the company Positive Technologies has published how to disable ransomware here. Petya use the TCP ports 135, 139, 445 atraves dos serviços SMB e WMI. How to active the Kill-switch? 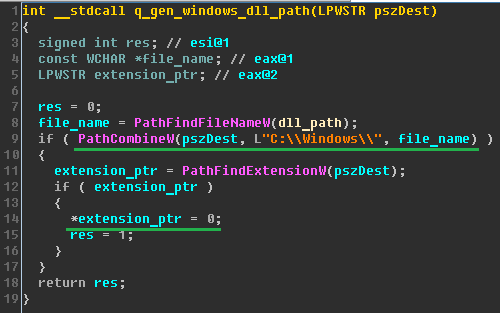 Petya checks if the perfc file exists in the "C:\Windows" the directory and the drive is hardcoded. The perfc file has no content is just an empty file without extension and only with read permissions. Again it is not recommended to pay the ransom and so far there is still no way to recover the encrypted files. There is one more ransomware that is taking advantage of the SMB V1 vulnerability and that is spreading worldwide. If you consult the hastag #ransomware can check that already made some victims. 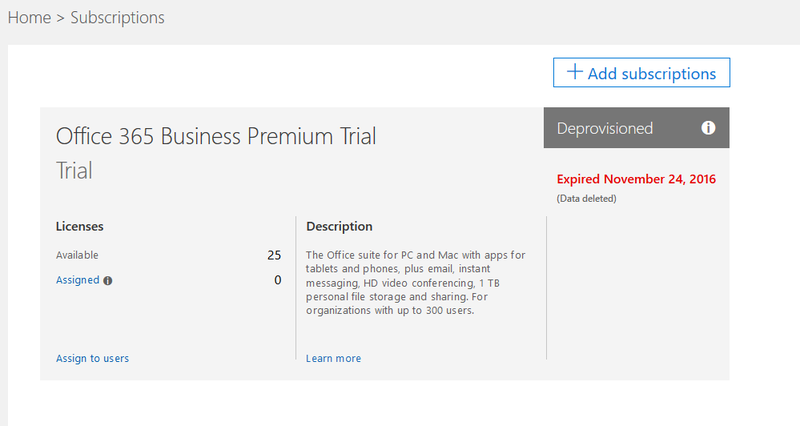 This is why it is extremely important to update the operating systems not only Microsoft but also Linux and Apple. All systems have vulnerabilities, all systems have flaws so all systems have ransomware. If you don't believe, do a search. All recommendations say not to pay the ransom!! The email address used is already blocked and up to the time there have already been 28 victims who made the payment. You can consult the transfers here. 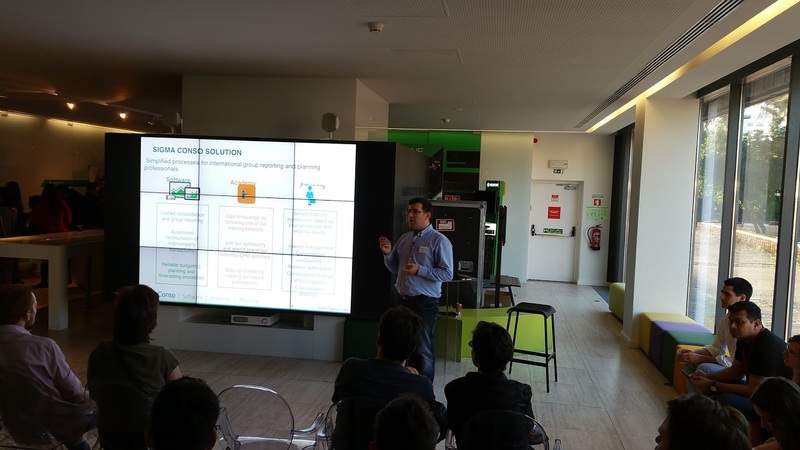 Microsoft Azure are cloud services distributed worldwide and are increasingly being used. Microsoft offers a number of programs with benefits for IT Pros, developers and more. 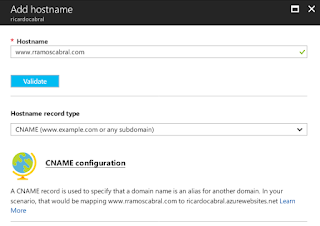 On the blog is a page how you can try Azure I refer to the same programs. O IT Pro Cloud Essentials changed the offer from 3 months to 12 months with a monthly value of € 25. 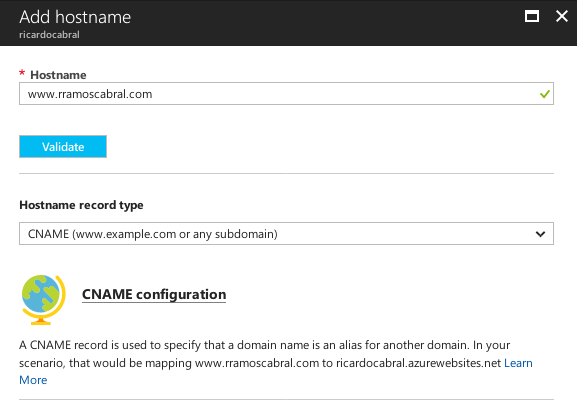 They can register directly at https://account.windowsazure.com/signup?offer=MS-AZR-0024P using your Microsoft account. What are the offers available? Are there more offers? Yes. 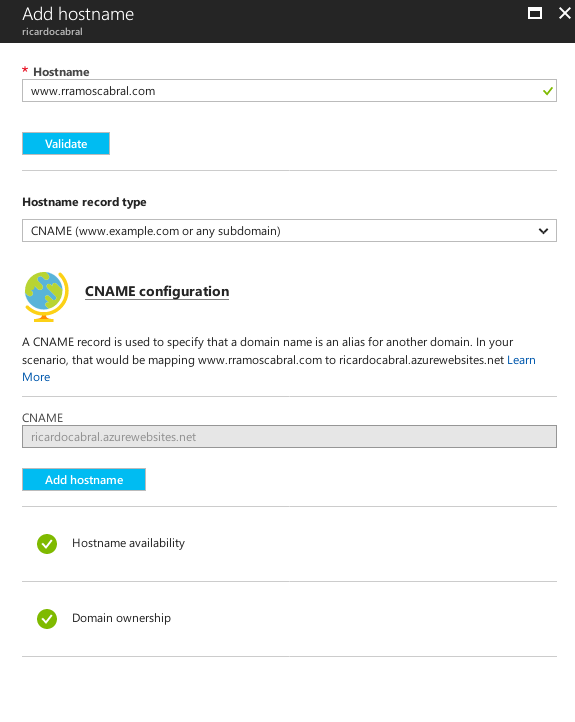 Azure has several offers and can be consulted the active and inactive offers in https://azure.microsoft.com/en-us/support/legal/offer-details/. 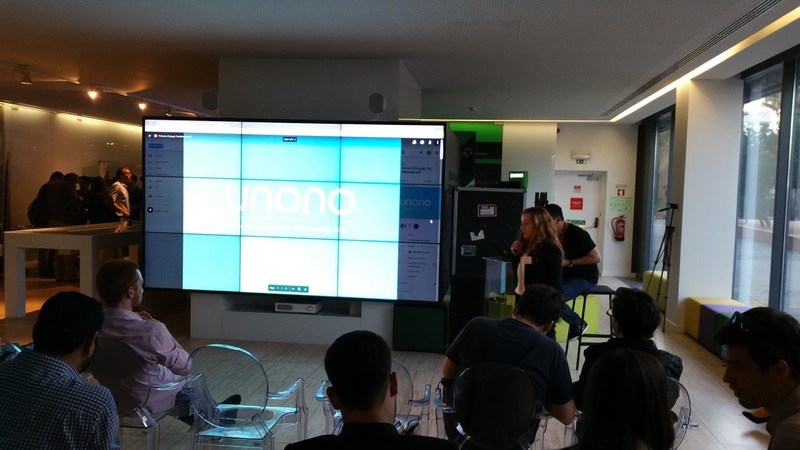 Yesterday at Microsoft's facilities in Lisbon there was tech Tech Startup Job Fair Lisbon Spring 2017. 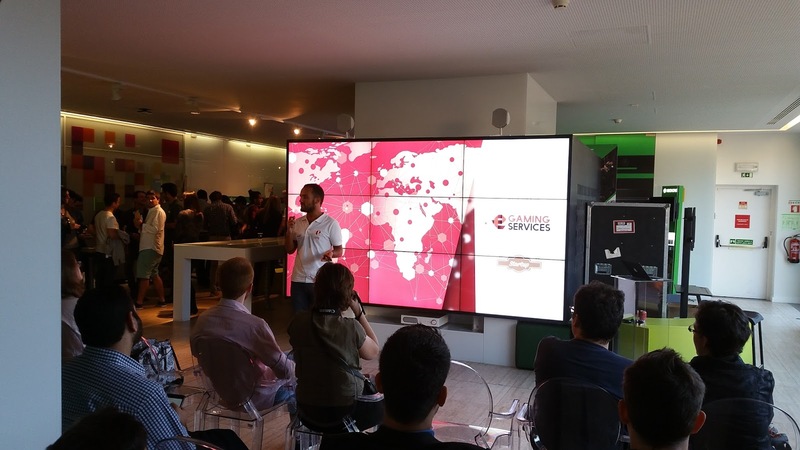 TechStartupJobs is a partner of the TechMeetups family. That allows young people to have contact with company from start-ups, agencies, Ccnsultancies, small and medium enterprises to large organizations. 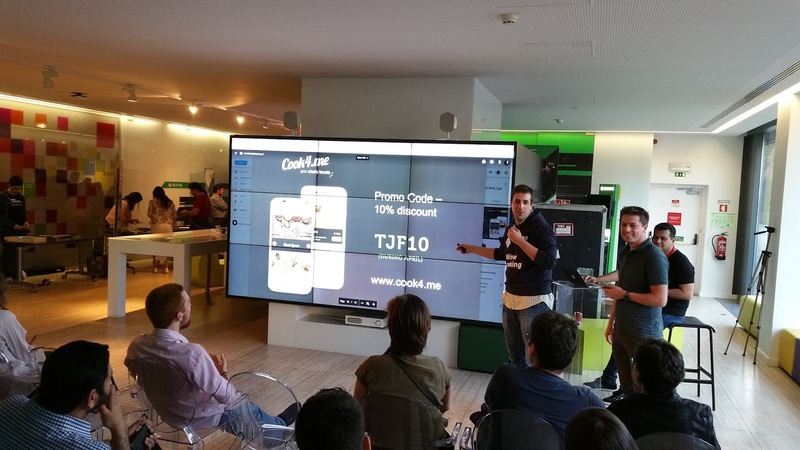 These companies can post opportunities to attract new employees, partners and co-founders. 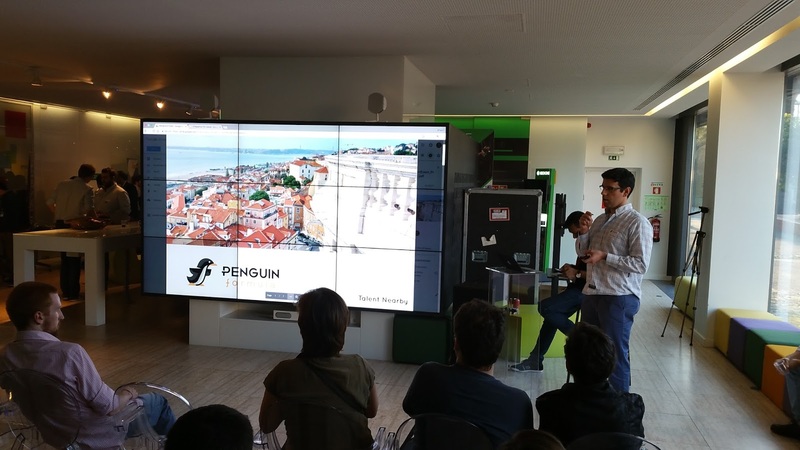 This wind does not only happen in Portugal and can see the next dates and places in http://www.techstartupjobs.com. 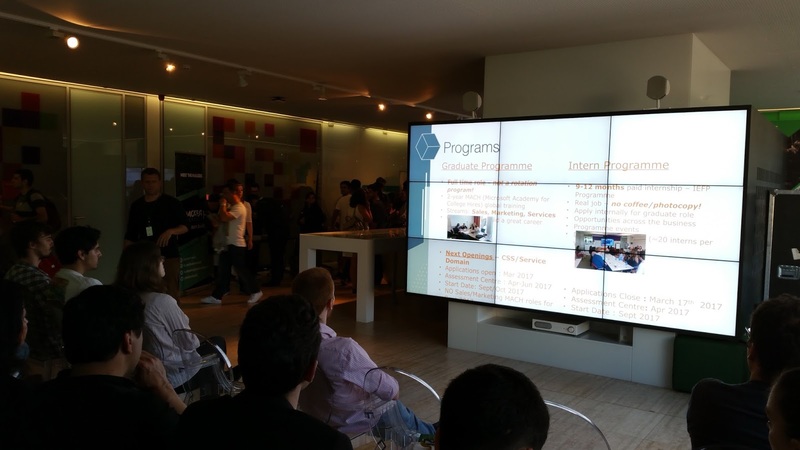 Microsoft is increasingly more open, even sponsoring job fairs. 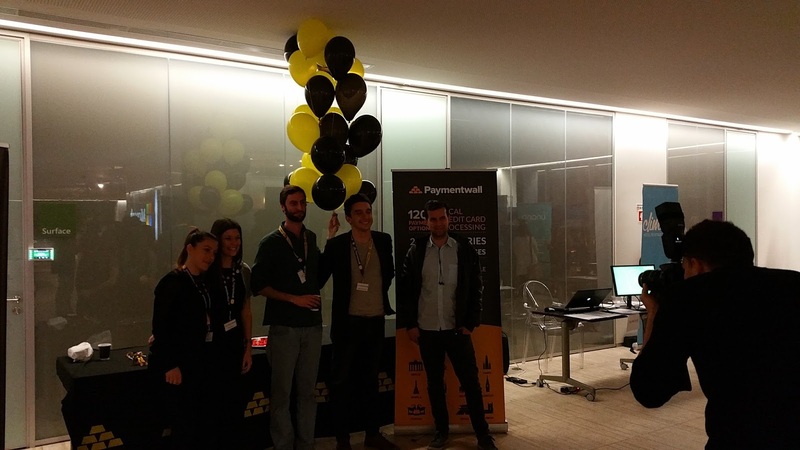 At this event, there were not only Portuguese companies. I can say that it was a full House, people excited and there were funny moments. It had a cost for companies, but not for those who were looking/visit, registration was mandatory like any event. Were there any job offer constraints on the company's present? Unfortunately yes, some of the offers had an age limit up to 30 years. Although I am over 30 years old I still consider myself young. What kind of offers were there? Mainly IT offerings, system administrators, C# or Java developers and more. Does this mean that these events are only for young people? Is it worth going to these events? Of course yes! 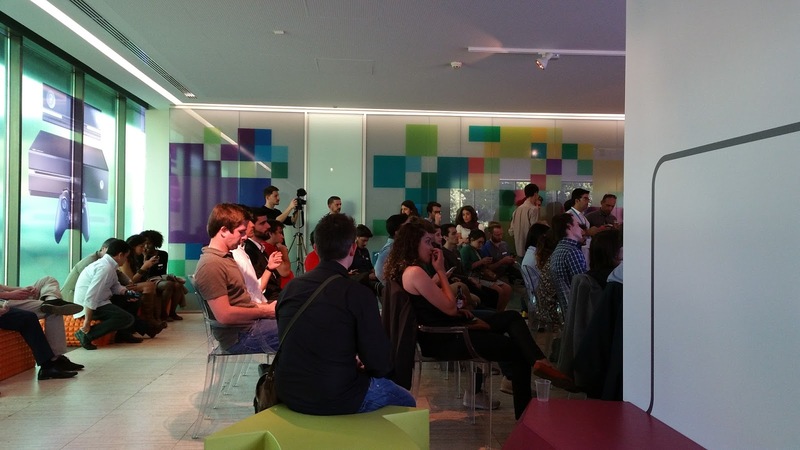 For those who know me I'm at almost every public event held at Microsoft Lisbon. It's not because it's free, it's mainly about Networking, conviviality and fun. 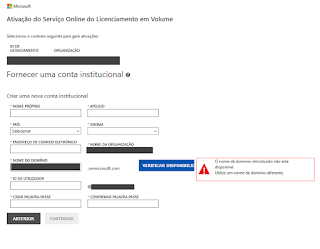 And I always see people known as António Lourenço and I invited you to visit his blog in http://antoniolourenco.com/. 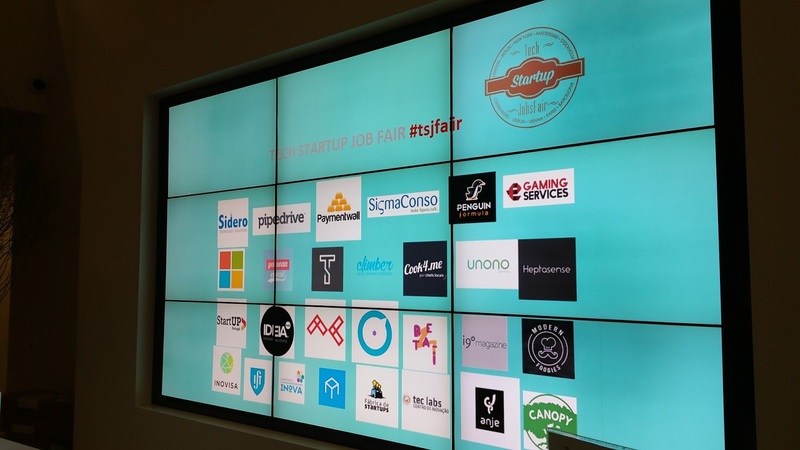 Where can I check out the upcoming Tech Startup Job Fair? At the following Internet address http://techmeetups.com/events/category/job-fair/. 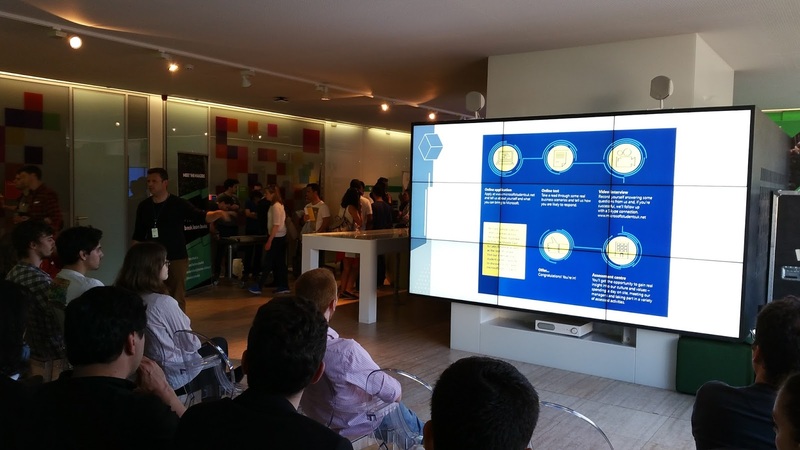 I want to thank the Microsoft DX team for getting these events and othersand to continue the good work. It will be held on May 18-20, 2017. Event tickets are payable and are available at https://app.weventual.com/detalheEvento.action?iDEvento=4115. Until day 2017-05-01 has a special price of 10€ from that date the price is 15€. But there is a way to get your free entry! 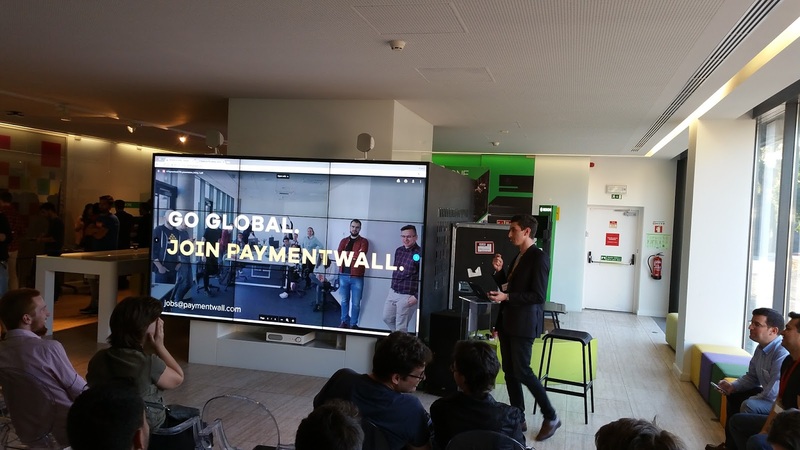 2 months ago the organizers launched the initiative with the community card, which is valid for all those who participate in the meetings of the following groups / technical communities involved. 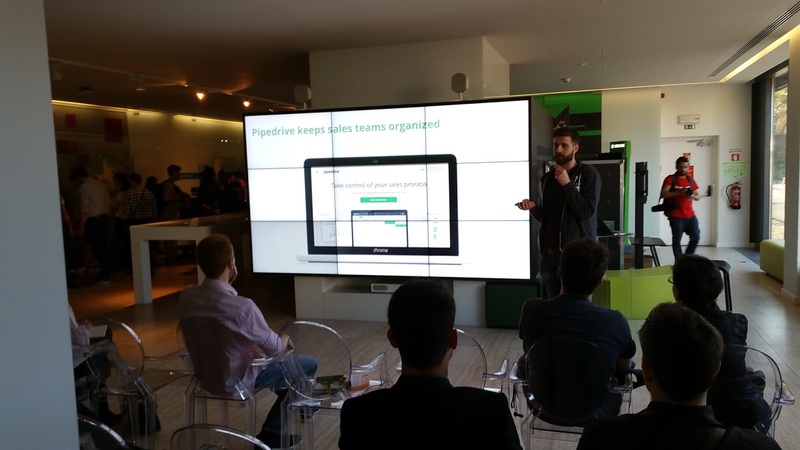 You only need to attend 3 meetings and have a proof of how you participated in these communities and will be enough to get a free ticket for the event, please ask the respective groups / technical communities. But why the ticket price ? 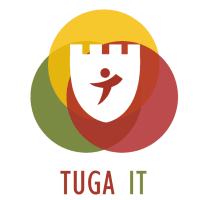 "Since a couple of years, we have been tackling the problem of the people who would register at the events (SQLSaturdays, SharePointSaturday, Tuga IT, etc) and not appear at all. We had situations where well over 50% of the registered people did not appeared. " And this has resulted in a waste of food and the people who were on the waiting list did not have the chance because the facilities have a visitor limit. Fortunately, event volunteers are able to distribute excess food to Refood (www.re-food.org) so nothing is wasted. For people who read the announcements already know that CodePlex will be turned off on December 15 of this Year. For people who have not yet noticed CodePlex 2017-12-15. Now what are we going to do? Is there a solution? Yes, let's all switch to GitHub. 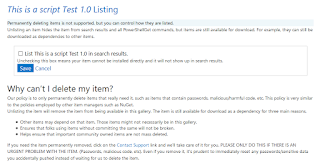 Yes you can check on the blog of Brian Harry's in https://blogs.msdn.microsoft.com/bharry/2017/03/31/shutting-down-codeplex/. "We migrated too. As many of you know, Microsoft has invested in Visual Studio Team Services as our “One Engineering System” for proprietary projects, and we’ve exposed many of our key open source projects on GitHub (Visual Studio Code, TypeScript, .NET, the Cognitive Toolkit, and more). In fact, our GitHub organization now has more than 16,000 open source contributors – more than any other organization – and we’re proud to partner closely with GitHub to promote open source." Microsoft has created a guide how to migrate from Codeplex to GitHub available at https://codeplex.codeplex.com/wikipage?title=Migrating%20to%20GitHub. Yesterday was held the event Programar Sartuday 2017 by Programar magazine. 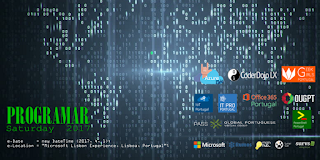 Is free Portuguese digital magazine that exists only in digital format and is composed by articles by several Portuguese authors. You can be found at https://www.revista-programar.info/ . 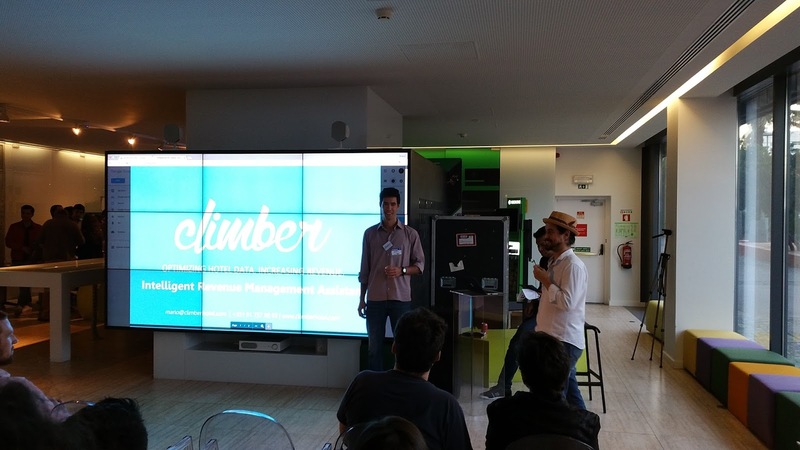 The organization of the event invited me to do a beginner presentation of Windows PowerShell and without thinking twice I accepted. 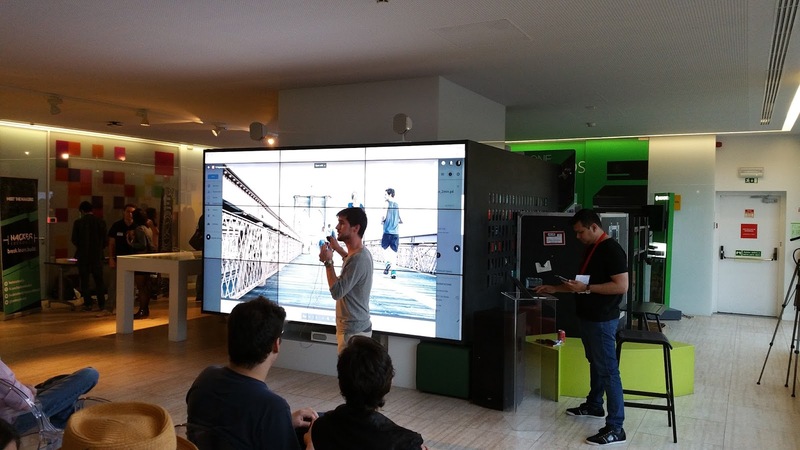 The event was held at Microsoft's facilities in Lisbon, Portugal and I had the right to a wonderful view as you can check the following video I made before starting the session. The presentation of the session is now available and you can view it freely. 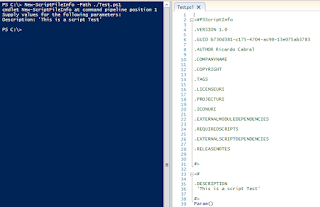 PowerShell is more than just a terminal console. It is developed by Microsoft allowing you to manage their products through command lines or scripts. But does it have so many advantages? 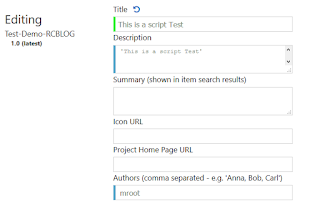 Yes, in addition to being able to use the .NET framework you can create scripts to do autonomous jobs that can be executed by parameters, which allows the script to be reusable and updatable. 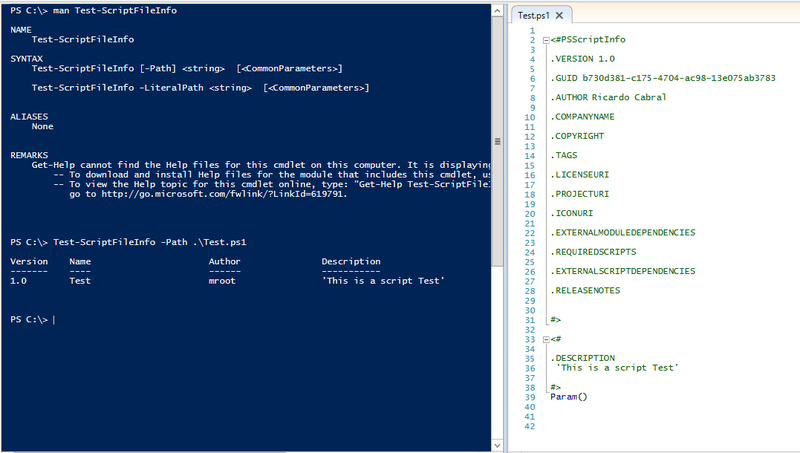 In PowerShell command lines are called cmdlets and are more complex commands. 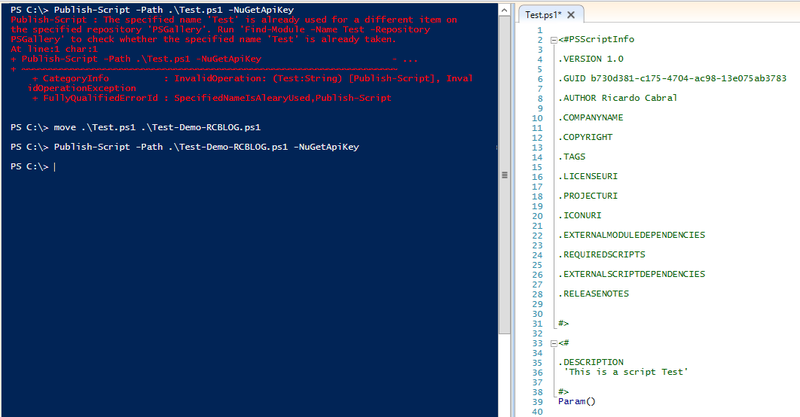 A cmdlet may even be a script that invokes an API call or other cmdlets. 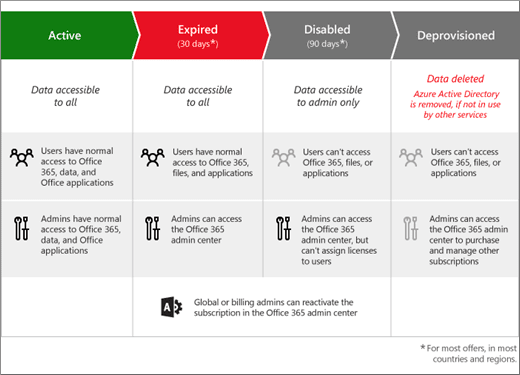 You can see the Cmdlet overview at https://msdn.microsoft.com/pt-br/library/ms714395(v=vs.85).aspx . As of August 18, 2016 Windows PowerShell became Open-Source which means you can run on MacOS and some Linux distributions. The PowerShell team is using GitHub so anyone can contribute with the project at https://github.com/powershell . 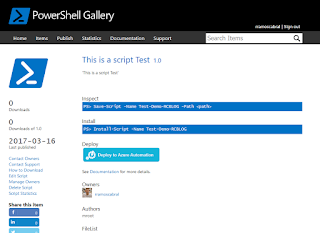 The PowerShell Gallery is the central repository for PowerShell content. 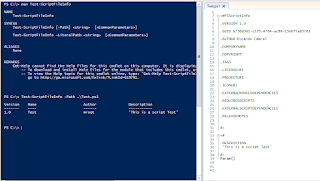 New PowerShell or Desired State Configuration (DSC) commands are present. 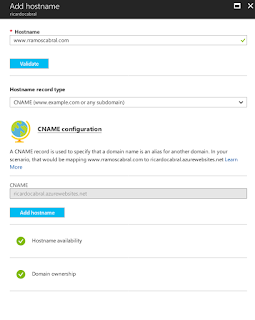 Before you start you must register in https://www.powershellgallery.com/ with a Microsoft account that will be used for publishing. By accessing your account you can verify that you have an API key and it is this key that is used for submission. Before starting the script you need to create the block that includes the script information with the cmdlet 'New-ScriptFileInfo'. The block will contain the version, GUID that is automatically generated, author, required information and script dependencies. 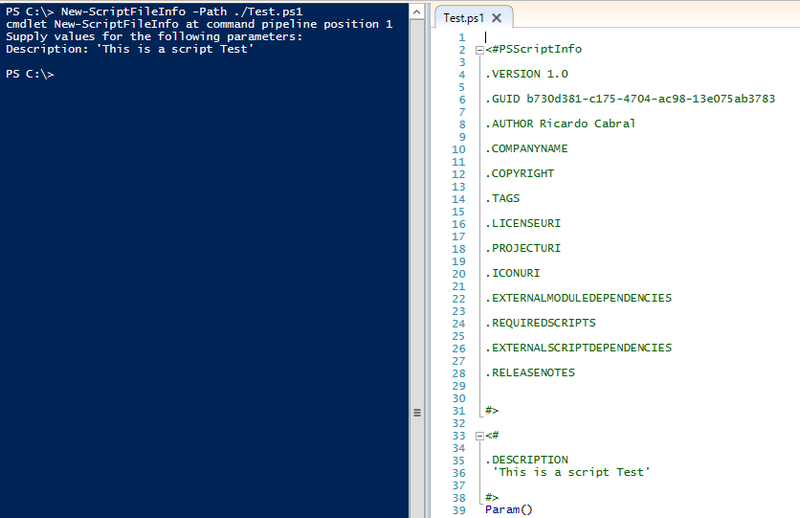 If you already have a script created add the PSScriptInfo body at the beginning of the script. The cmdlet 'Test-ScriptFileInfo' checks the comment block if it has an error it will tell you where it is located or how to fix it. As you can see in the image, no error was displayed and can be sent. The following image has a purposeful error in which a variable is not defined and can not be sent until the error is corrected. 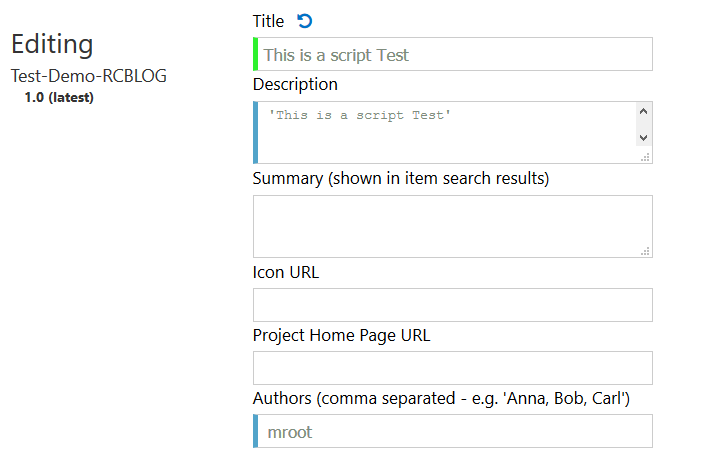 With the tested script you can now publish it to publish you need the API key that you can query in your account. To publish, use the Publish-Script cmnlet. An important rule is that the name of the script must be unique if you try to publish a script with the same ID will return an error and is required to rename the script. In your Manage My Items account you can manage all submitted modules or scripts. You can edit the contents of the script. 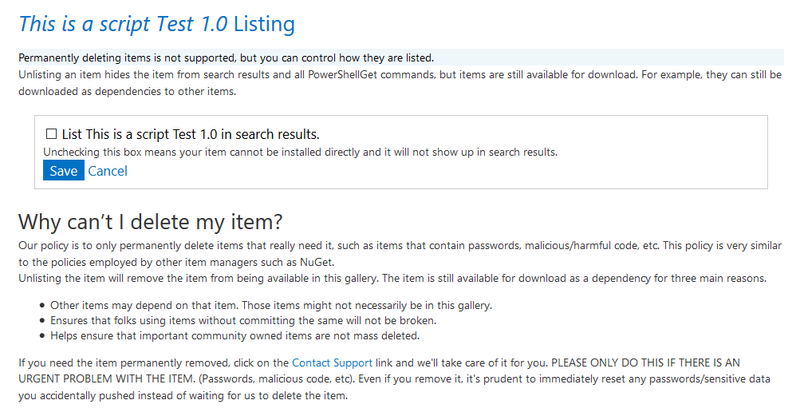 The gallery also has the chance to delete the script but is not yet supported by the gallery what it can do is remove the script from the searches. 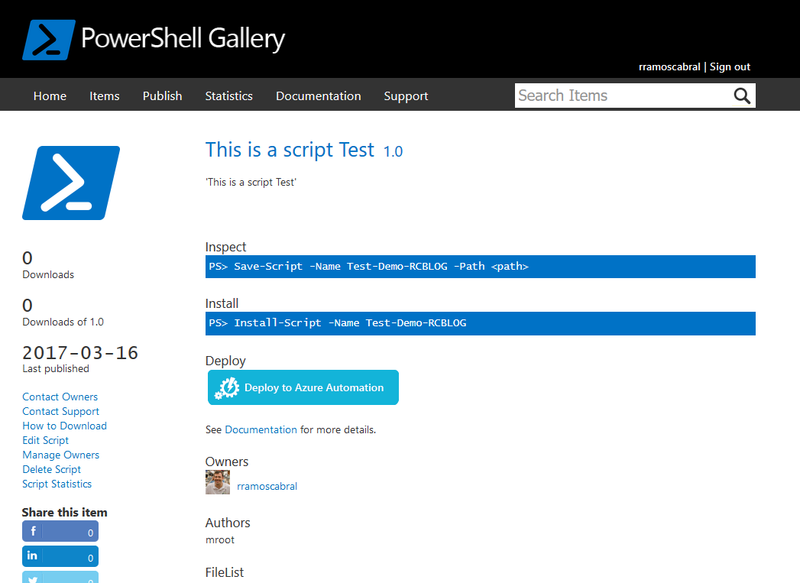 With successful publishing the script is visible and searchable in the Web Gallery comes as in PowerShell. 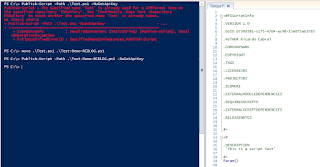 The gallery hypothesis to save the script without installing with the 'Save-Script' cmldet. If someone wants to install you can use the cmdlet 'Install-Script'. There is no restriction for publication but you have to be careful that the script or module you want to publish does not contain any sensitive information such as logins, passwords, keys for database links. Even if the script has passed the tests it is always important to review and test the script before publishing. If it is possible to do it on another machine. 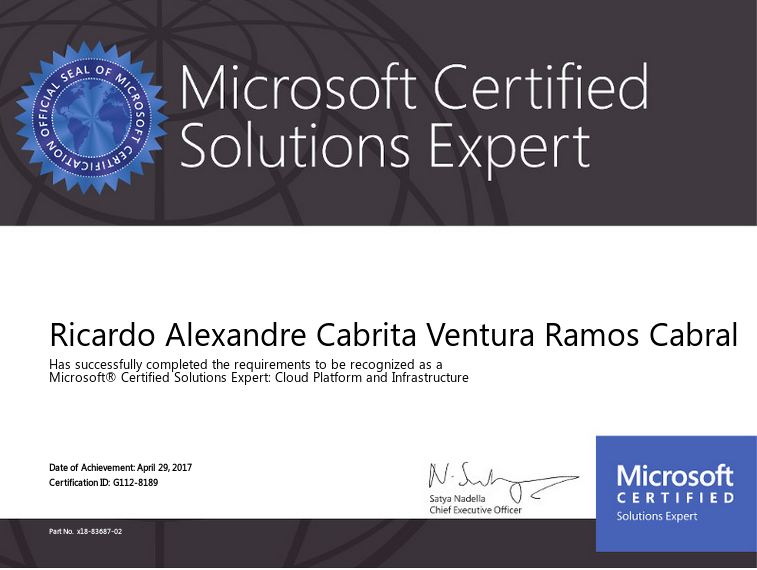 On March 16, 2017 you can participate in the Webcast "Microsoft Windows Server 2016: The Cloud-ready operating system" between 16:00 - 18:00 WET through Rumos Live Traning with the trainer Pedro Ferreira Pereira. This webcast aims to address the Windows Server 2016 news, as well as the course of certification exams to achieve MCSA: Windows Server 2016. 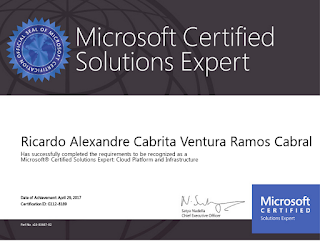 Introduction to exams to achieve MCSA certification: Windows Server 2016. 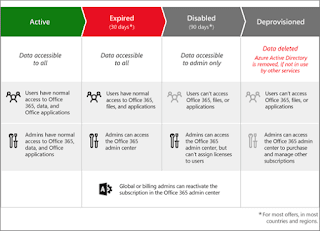 New features of Windows Server 2016. You can subscribe here: https://www.eventbrite.pt/e/bilhetes-microsoft-windows-server-2016-o-sistema-operativo-cloud-ready-31228289655 . The language of the Webcast will be in Portuguese. 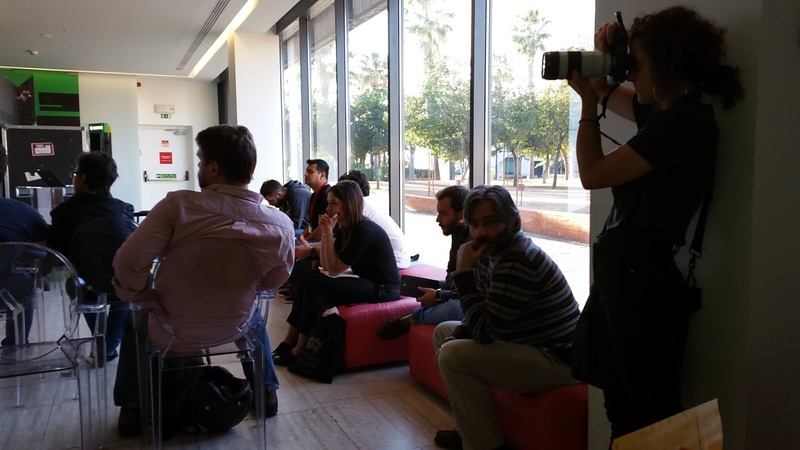 The Webcast is carried out by the companies of Grupo Rumos , Rumo, Galileu, Flag, Profitecla, Escola Digital Rumos, Escola Professional Braga and Escola Professional Ruiz Costa. It's totally free just have to register in the webcast that Eventbrite is used. 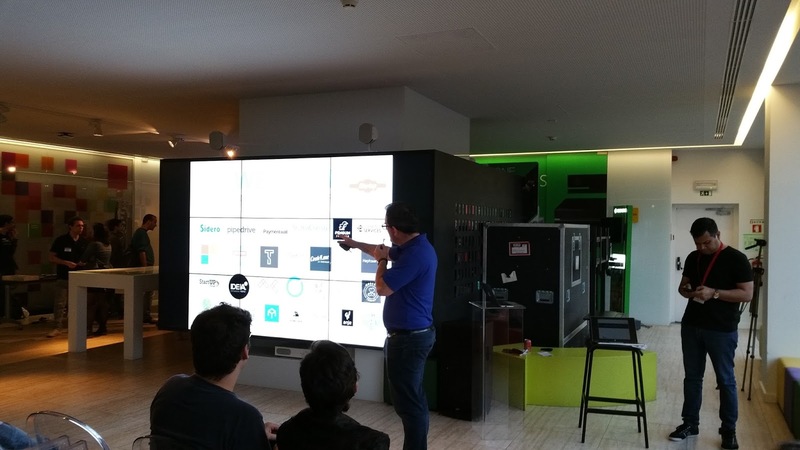 You can check the previous events here: https://www.eventbrite.pt/o/rumos-s-a-7582499537?past=1 and view the videos in http://www.livetraining.pt/arquivo.html. The webcast uses the Adobe web conferencing platform better known as Adobe Connect and its use is not complicated. You only need to enter the room and take the verification and compatibility test on your computer. To ensure that you can see the video signal and image. You can ask the speaker all the questions and talk to other participants who are present. It all depends on the speaker's upload. Unfortunately, they do not use a isolated connection for the Webcast. In the last webcast I saw that it was "Be a Game Developer" their upload was so bad that the link was always falling, the voice always failing and it was not possible to follow up with the speaker. 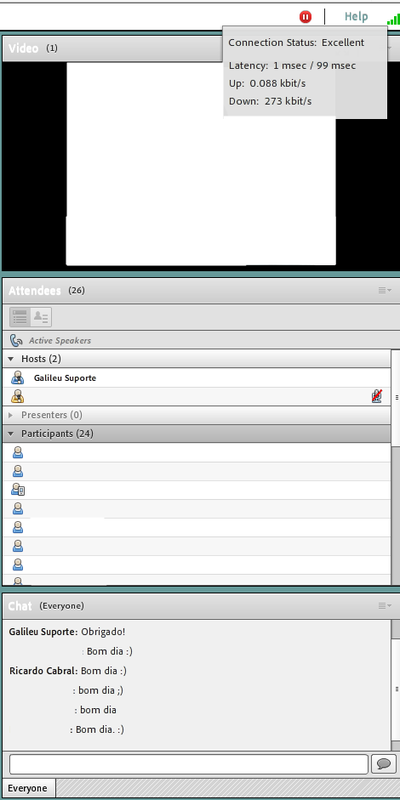 Sometimes the speaker did not realize that the voice was not being transmitted and missed a large part of the webcast. Even if you can not see the webcast until the end, you will receive an email with an Internet address that allows you to view the webcast recording, and you may also receive a discount voucher. If you want to know more about the webcast of the Grupo Rumos, visit the official web page at www.livetraining.pt.